Comberwood Colliery, Norwood Colliery, Comberwood shaft. SK 47/57 465798. Spink Hill Colliery SK 47/57 453786 area. Bentley Colliery. 4th May 1889. John Turner and Son colliery and contractors auctioneers have received instructions from the above company to sell by auction on the premises of the above on Monday 13th May 1889 the whole of the colliery plant in consequence of the expiration of the lease. All will be sold without reserve. Bentley Colliery is two miles from Dronfield, two miles from Unstone, four miles from Eckington and six miles from both Sheffield and Chesterfield. The sale will commence at 1.00 p.m.
A story was told at an Eckington inquest yesterday of how Arthur Edgar Lowbridge a deputy at the above colliery on Marsh Lane lost his life when he entered workings at the pit known to contain 'Black Damp' against the advice of another deputy. For seven years he was employed as a deputy at Markham colliery and then at Furnace Hill and Renishaw Park colliery footril over twenty years ago. 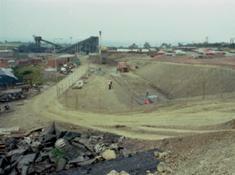 Before this pit was worked out he was transferred to the Renishaw Park colliery. Some four years ago he was successful in winning £5,139 in a football competition and shortly afterwards retired from the mine. A little over 12 months ago he agreed to take over the position at Bramley Hall colliery in an advisory capacity working a few hours a week. Edward Sissons engine tenter at the Park Pit was charged by Mr. Wells of neglecting rules 51 and 52 of the pit. When any of the men required to be let down the shaft the engine tenter should put the hold on which has the effect of steadying the corves before arriving at the bottom. On this occasion he failed to do so and the parties in the shaft were severely injured. The defendant said the gearing was not in proper order and any blame should rest on the enginewright. Fined 12/- and costs. William Marples was charged by Peter Spalling with committing a murderous assault upon him on the 10th September at the Park Pit. Marples struck Spalling with a steel locker peg four or five times on the head. Committed to the Assizes. 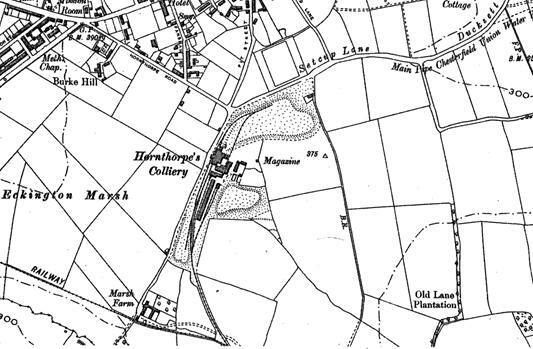 Prior to the modern mine there existed a High Moor colliery at Killamarsh. To sell by auction a portion of the colliery plant consisting of 30 tram coal wagons, 6 tram bottoms, wallow and turn stake and 800 yards of steel rope. 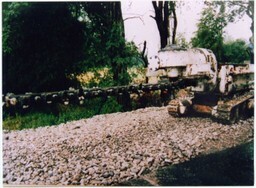 Construction of the No. 3 Drift. (Brian Crossland). 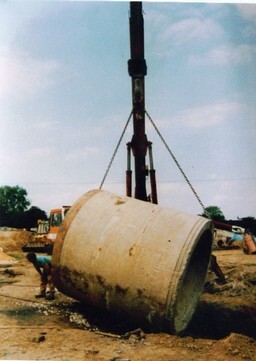 A modern drift mine. Shaft 633 feet deep into the Silkstone seam. Worked Silkstone or Blackshale seam at a thickness of 4 feet 10 inches, may also have worked the Blackshale Ironstone. Produced coal for the domestic market and for gas production. Colliery owned and operated by J. &.G. Wells throughout its life. Colliery operating in 1880, 1896, 1908, 1918. It was announced last Thursday to the screen men, labourers and others employed on the surface at the Hopbrook, Hornthorpe and Renishaw Park collieries that an advance in wages of 3d per day would be given all round to the men and 2d per day to the boys under 16 years of age. The advance is to commence on New Years Day. There has been no agitation or meetings held by the top men in connection with these collieries and the above were received by general satisfaction. A similar advance was given on the 1st July last year. “Our lease expires on 25th March and on that day we intend to give up possession of Hornthorpe Colliery. The men will be found employment at our other pits as far as possible.” This was the statement made by Mr. Greensmith General Manager of Messrs J. & G. Wells Ltd. when asked about the future of Hornthorpe Colliery Eckington. Hornthorpe is an old colliery it was sunk by the present owners in 1871 / 1872 and the present output is something over 1,400 tons per week of six working days. The water question at Hornthorpe is a serious one and it is necessary to keep the pumps going continually to keep the workings clear and to safeguard neighbouring pits. Sir George Sitwell told the Derbyshire Courier that there was apparently no prospect of work being continued at Hornthorpe after the expiration of the lease. The last load of coal was taken from the Hornthorpe colliery on Thursday night last week. A few men are now employed in dismantling and bringing up the plant and other valuable stock which is expected to take over three months. The pumps are still working and the pumping machinery will not be taken down and removed until the very last day. Most of the men have been transferred to the Norwood and Holbeck pits although some men are going to the small Howox near Hornthorpe where an extra shift will probably be put on. A lamentable accident occurred at the colliery belonging to Messrs Turner, Ward and Company in which four men lost their lives. About thirty men were employed in the mine. At about 6.00 a.m. twenty four men had descended the mine in safety. The four men who lost their lives declined going down earlier on having a suspicion that the pit rope was not secure. When there companions reached the bottom of the shaft they overcame their fears and proceeded to descend the shaft but had not been lowered more than ten yards when the rope snapped in twain precipitating them to the bottom a distance of about sixty yards. Mr. Nicholson begs to announce that he has instructions from the owners to catalogue and prepare for sale all the machinery and working plant, stores and effects connected with the above colliery. A 12 hp horizontal winding engine, 12 hp beam engine for winding, 4 hp donkey engine, one iron coal boat and two wooden coal boats. 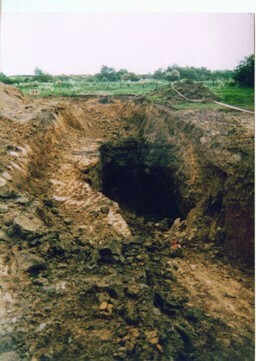 The sinkers employed at the new shaft of Messrs Greensmith and Smallwood of Killamarsh have, just struck a seam of coal. It is only sixty feet deep from the surface and is nearly four feet in thickness. The coal although shallow is very strong and is considered very valuable for household use. The colliery is in the most elevated and the most thickly populated part of the village and is within easy access of the railway station and most distant parts. The proprietors have been working the same seam for several years but were placed under a geographical disadvantage. They ultimately determined to sink in the centre of the village and are deserving of their success that will in all probability attend the venture. A good land sale is anticipated. Eckington Plumbley Colliery. Known locally as 'Seldom Seen' colliery because it is so well hidden in the picturesque Moss Valley. 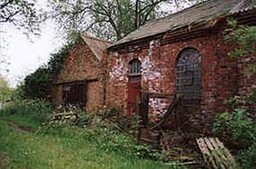 The engine house is now restored and the site and building is part of a preservation order. The colliery was sunk about 1860 and closed in 1901. In the 1870’s the local land owner Mr. De-Rhodes set about expanding and modernising his coal mining operations. 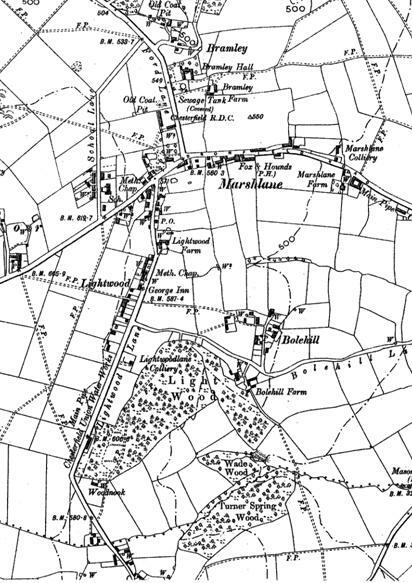 His collieries were further expanded by the inclusion of better transportation from the pit head to the Midland Railway nearby at Eckington and Renishaw. He constructed a railway link of his own known affectionately in the locality as the ‘Penny Engine Line’. This investment led to his bankruptcy. It is unsure what kind of steam engine the building housed. The engine house is well worth a visit at SK 42106 79997. 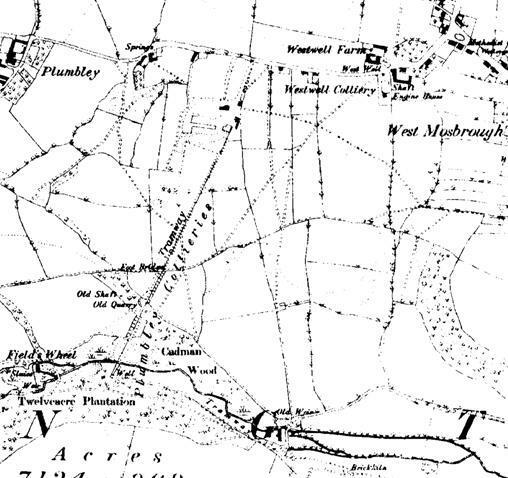 Miners and contractors desirous of tendering for driving 221 yards of bind heading at Plumbley colliery near Eckington may obtain particulars at the offices of the Manager Mr. J. W. Fearn Mining Engineer Chesterfield or from the under viewer at the colliery Mr. John Hurst. In the matter of the Company’s Act 1862 / 1867 and in the matter of the Plumbley Colliery Company Limited. The creditors of the above named company are required on or before the 28th October 1887 to send their names and address and the particulars of their debt or claims and the name and address of their solicitors if any to Edward Newsum 19/20 Baxtergate Doncaster the Official Receiver. Messrs T. B. Richardson and Son will sell by auction at the Royal Hotel Waingate Sheffield on November 19th 1887, twenty-five useful horses with their harness removed from the Plumbley Colliery Eckington also 35 tons of old and new hay in lots now standing at the colliery. Sale at Snowdon Lane Colliery, Bramley Moor, Eckington. Messrs. Byron and Wrangley have received instructions from the executors of the late J.J. Stott Allen to sell by auction the whole of the colliery plant including 10hp horizontal winding engine ten inch cylinder 24 inch stroke, two donkey engines, 4 egg ended boilers, 7 foot 6 inch flywheel and drum. 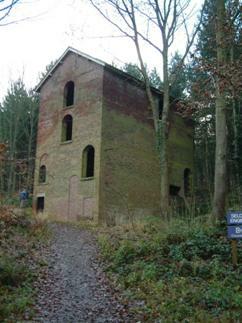 The colliery is situated 2 miles from Dronfield/Unstone and three miles from Eckington. John Staton was charged by Mr. Wells colliery proprietor Eckington with violating the rules of the colliery by using lucifer matches in the drift and smoking. Fined 20/- and 9/6d costs. Dispute. Mass meeting of miners, 3000 miners affected. On Wednesday Mr. W.E. Harvey and a deputation waited upon Mr. J.G. Wells at the Eckington Colliery with regards to the dispute. Subsequently at a mass meeting in the Wesleyan Methodist schoolroom Mr. Harvey informed about 1400 miners as a result of the interview. It was announced last Thursday to screenmen, labourers and others employed on the surface at the Holbrook, Hornthorpe and Renishaw Park collieries that an advance in wages of 3 pence per day would be given all round to the men and 2 pence per day to the boys under 16 years of age. There has been no agitation or meetings held by the top men in connection with these collieries and the above was received by general satisfaction. A similar advance was given on the 1st July last year. The dispute relative to the establishment of a price list has been before the Derbyshire Miners Association for two months and Mr Harvey had been unable to effect a settlement and therefore, authorised the men to give notice. Westthorpe Colliery SK 47/57 454797 1923-1984. It was owned by the local company of J&G Wells & Co LTd who in 1927 built 600 houses at Killamarsh to house its workers. (Derbyshire Times 5th. February 1927). It is unsure whether all 600 got built as there was a recession in the building of houses by the colliery companies and local councils the following year. They owned several collieries nearby and were a firm who were deeply rooted in the local mining industry. Westthorpe colliery was vested into the National Coal Board on January 1st 1947. In 1923 the colliery was sinking into the Deep Soft Seam which was about 140 feet from the surface. It first employed 44 men underground and 62 on the surface. By 1945 E Thompson was Manager. A.H. Jackson was Undermanager and the company were employing 732 men underground and 215 men on the surface. The colliery closed in 1984 and many men transferred to other local collieries. Information on other Eckington & Mosborough Collieries. Mr. George Wells worked several collieries and coke ovens including Little Hill and Mosborough Common. Mr. Joseph Wells, his father, purchased Sales and Bibbs' pit, Moor Hole. In May of 1844 Mr. George Wells died, and his sons Joseph and George Wells carried on the coal pits. Mr. George Wells paid his Mosbro' workmen their wages at the Crown Inn. In 1845, Messrs. J. And G. Wells began sinking Moor Hole pit. Colliery proprietors, mentioned as follows: Messrs. J. and G Wells, afterwards J. and G. Wells and Co., Limited. Richard Swallow, afterwards Richard and John F. Swallow. Joseph Bishop, Plumbley Lane. John Rhodes, Plumbley Colliery. Afterwards Plumbley Colliery Company Limited. Luke Worrall, next his widow, and then his son John. Robert & James Newton near the Cliffs, Plumbley. Joseph Alton and Thomas Bunting, the Cliffs. J. and G. Wells, at Moor Hole, which had been reopened. Coal worked independent of the Company. J. and G. Wells and Companies colliery at Holbrook employed more than five hundred men and boys underground, about one acre of coal was mined every week. Sales and Bibbs working a pit at the top side of Moor-hole, it was worked by steam, and a large quantity of coke was burnt. On September 8th, 1859, there was an explosion at Silkstone Main colliery, in which the following persons were killed Naboth Kirkby, aged 18 years; Hugh Bird, aged 17 years; and two boys. Charles Dowman and Henry Stimson. Mark Hodgson sank a pit on the cliffs at Plumbley Lane there was a large amount of water to contend with. In 1845 a man named Shaw of Attercliffe took it over and worked it a short time until William Galley took over the colliery as the proprietor until its closure. Getting AB Cutter into the mine via intake drift. Preliminary excavation of return drift. 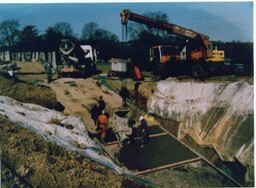 Pre-cast concrete liner being installed in return drift. 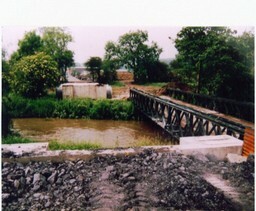 Bridge over River Rother, connecting pit top building with drifts. Pit top left. 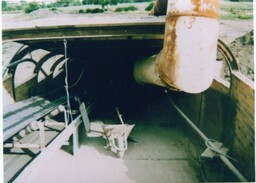 Entrance to intake drift during development. To right is ventilation pipe. Laying concrete floor in the intake drift. Lining intake drift with waterproof membrane.